… and here he is! Finally – you get to see the whole Botanical Beauty! You read his story the other day… and now you get to see him as well. 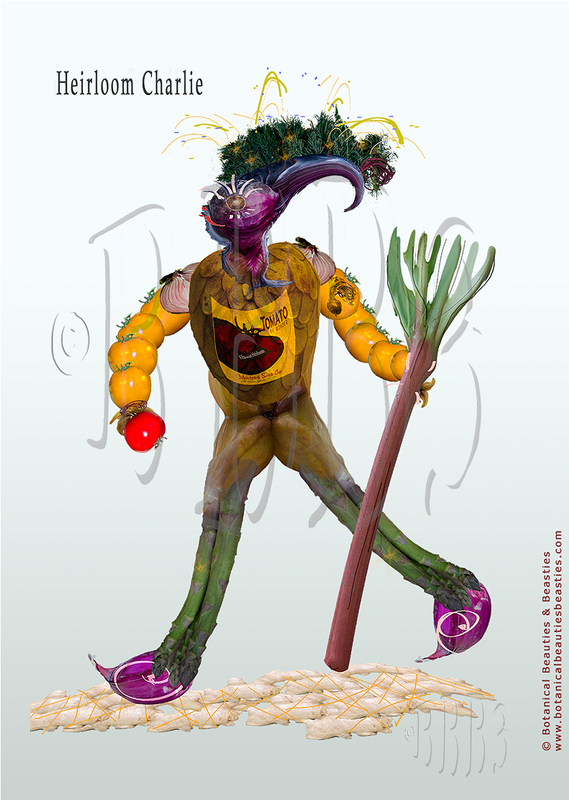 In case you are wondering about his less obvious ‘parts’ – His hair is dill, chest is a Cheromoya, thighs are star fruit, feet are small onions, pitch fork is Rhubarb, and he is walking on ginger root! Hope he makes you smile, and think about sustainability across all the parts of your day.